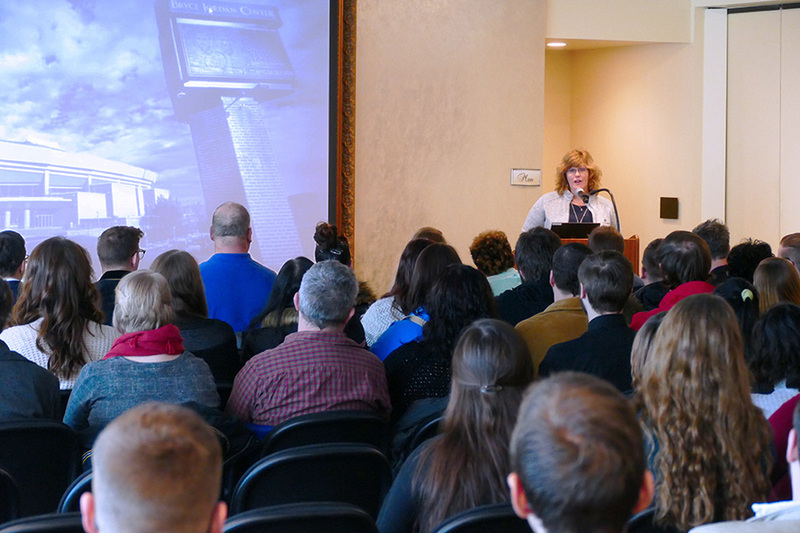 Career Services Coordinator Ellen Spinelli is shown making opening remarks at 2019 PSU Days Part I. 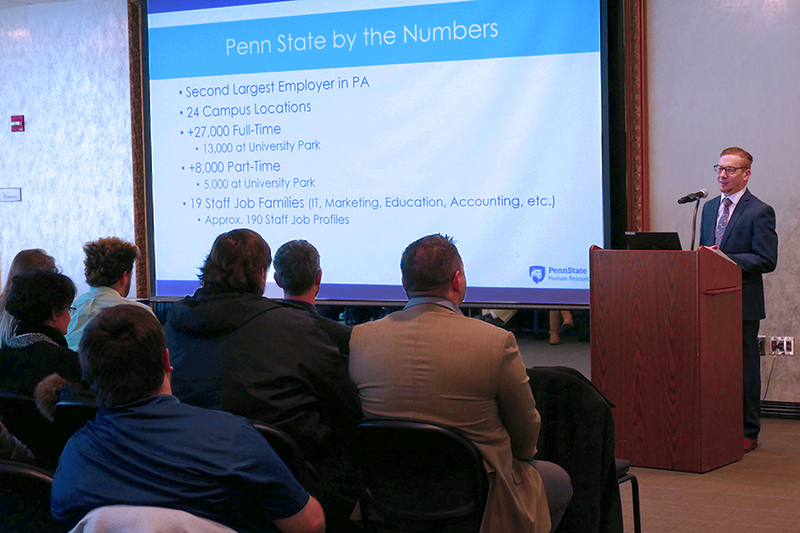 STATE COLLEGE — For the last nineteen years, second-year students from all three of South Hills School of Business & Technology's campus locations have participated in “PSU Day” events hosted by the South Hills Career Services department. 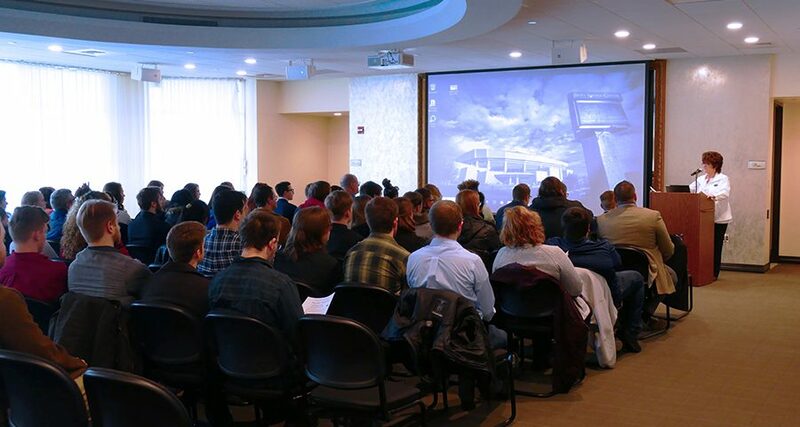 The alliance between South Hills and the Pennsylvania State University was formed in 2000 to give South Hills students the opportunity to explore internship opportunities at PSU, which, in turn, helps the university find well-trained employees for its administrative offices. Each specialized associate degree program at South Hills requires students to complete an internship before graduation. Hundreds of South Hills students have completed internships and/or have been hired as employees of Penn State since the establishment of the South Hills/PSU partnership in 2000. 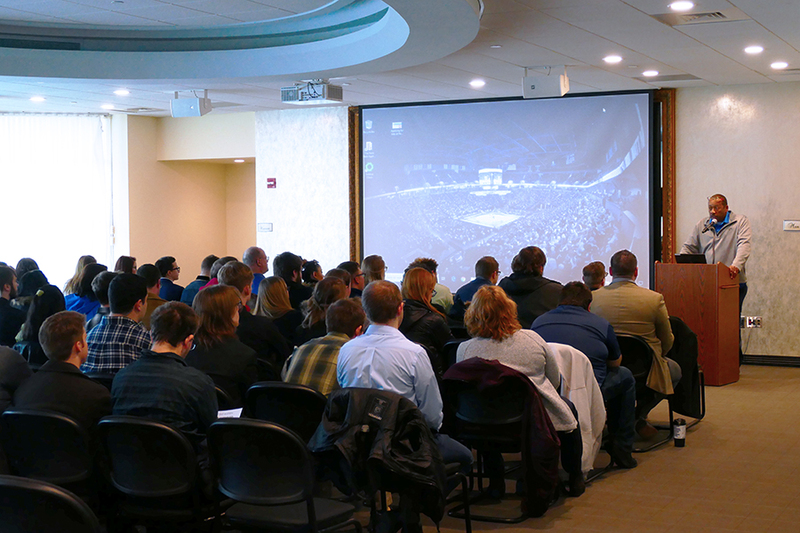 Nearly 90 South Hills students marked the beginning of the “Internship Season” by participating in PSU Day Part I. The day began with a guided bus tour of the PSU campus at University Park. 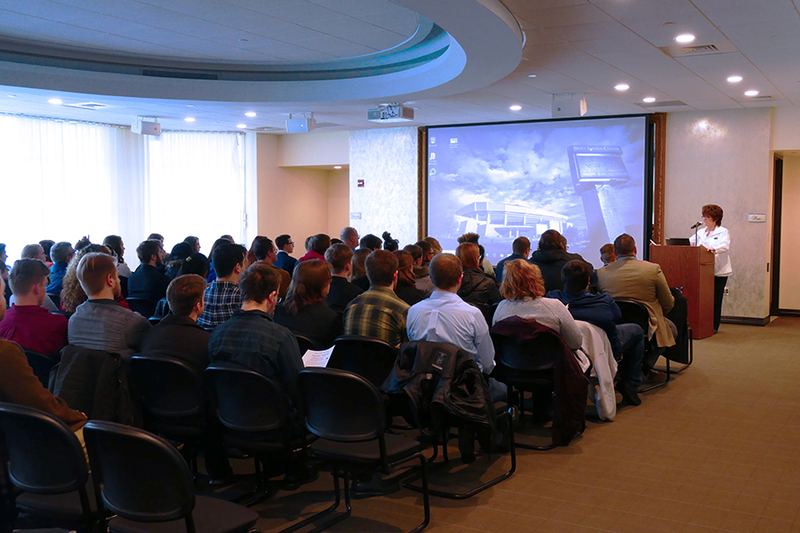 After the tour, the students were taken to The Founder's Room at the Bryce Jordan Center where they heard from two 2018 South Hills graduates who have recently been through the PSU internship process and who are both now employed at the university. Tammy McCoy, Administrative Professional graduate and Administrative Support for PSU – Civil & Environmental Engineering, and James Thomas, Information Technology graduate and Desktop Support for Enterprise Information Services, discussed how South Hills provided them with the necessary tools to be successful in their internships that led them to their current positions. Cole Hons, Media Manager for PSU – Huck Institutes-Life Sciences, provided the students with several tips, giving them a list of "dos and don’ts" for their upcoming internships. 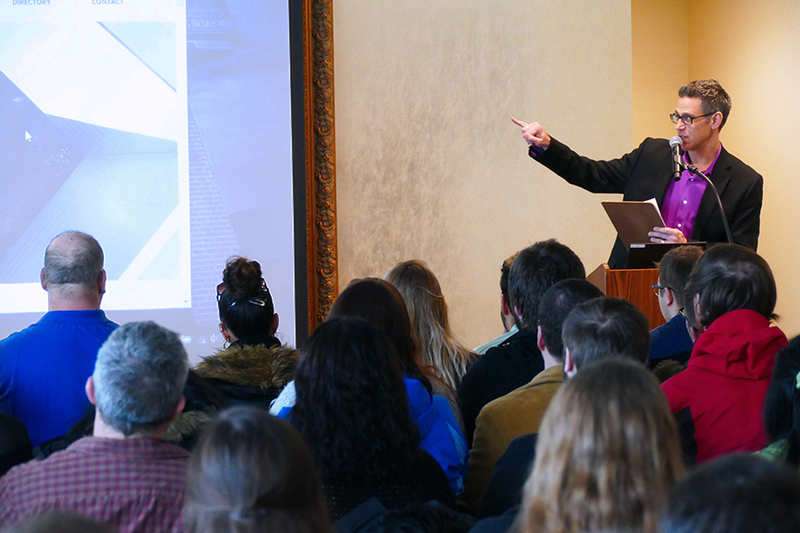 To close out PSU Day I, Business Administration – Management & Marketing alumnus and PSU – Human Resources Multimedia Specialist, Michael Keller, guided the students step-by-step through the employment process at Penn State.